The invention of minimal techno. This label (and also act) was founded by Wolfgang Voigt in the early 90s in Cologne. It was a series of ten records, which were made to show the world what, in its essence, minimal techno was. Each of the records had a different color and each of them was made by and released on Studio 1. The tracks and the records had no names. Following these 10 releases, a CD compilation with some unreleased tracks was issued. After a lapse of silence (when Voigt spent time with some of his other projects) the act Studio 1 was reactivated. 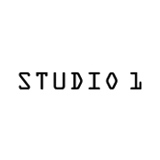 Studio 1 now releases on the mother label Profan, as "Studio 1 ist eine abteilung von Profan Schallplatten Köln."